If you’re looking to get into writing for an upcoming fashion, art, beauty and hair magazine we’re the place! If you’re a student with an interest in journalism, this is the best place to start. No prior experience in this field is necessary. You’re able to work from home. A working computer with internet access (laptop is preferable). Goode grammer, righting and spellings skillz.. (If reading this line made you cringe, we like you already). Seeking long-term employment (we are more than willing to work with a changing schedule). Please email a copy of your resume plus three writing samples (if available) with the subject header “Contributing Writer.” Given the high volume of candidates, every candidate cannot be guaranteed a response. Qualified applicants will be contacted for a phone interview. Any questions in regards to the position may also be sent via email, please allow 3-5 business days for a response. 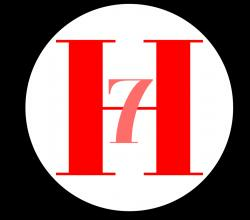 ABOUT: 7Hues Magazine is a quickly growing upcoming publication that seeks to provide diverse content through print and digital presentation with a variety of different topic areas based around fashion, beauty, hair and art. We work to provide a welcoming platform where all creatives can come together to create a healthy dialogue about today’s creativity as well as be able to view what’s hot and what’s new in today’s society. We are the future of today’s platform for creative minds! NOTE: this is unpaid, but we offer academic credit to all interns. All candidates must be current undergraduate or graduate students.